Customers on EE Pay As You Go have a choice of three different types of Pay As You Go bundle. Known as ‘pay as you go packs’, the bundles will convert your Pay As You Go credit into either a 7-day or a 30-day allowance. The most popular type of pack is the Everything Pack. This is an all-round bundle for regular users with a smartphone. For instance, the £10 Everything Pack comes with 250 minutes, unlimited texts and 1GB of data. Other types of pack include the Data Pack for customers who mainly want data, and the Talk Pack for customers who mainly want minutes. Customers continuously buying a pack every month can qualify for a quarterly ‘free boost’. In this article, we review EE’s Pay As You Go service. We’ll start by looking at the different types of pack and how they compare to the bundles available on other mobile networks. We’ll also look at the coverage on EE and how you can keep an existing phone number when moving to the network. Stop Press: ASDA Mobile offers low cost Pay As You Go bundles with coverage from EE. You can get 600 minutes, unlimited texts and 6GB of data for £10/month until the 23rd May 2019 (this normally comes with 3GB of data). This is six times as much data as you’d get on EE’s £10 Everything Pack, and three times more data than you’d get on the £10 Data Pack. EE is one of the UK’s largest Pay As You Go mobile networks. Their Pay As You Go offering is based around the concept of packs: time-limited bundle allowances that you purchase from your Pay As You Go credit. Everything Packs (from £5/month): The most popular type of pack for all-round usage. An Everything Pack gives you a set allowance of minutes, texts and mobile data for which you’ll have 30 days to use. Data Packs (from £10/month): Data Packs start from £10/month. They give you a larger allowance of mobile data, with a small number of minutes and unlimited texts. Compared to an Everything Pack bundle, this is a better option for heavy data users who rarely make phone calls. Talk Packs (from £1/week): The option for lighter users who don’t have a smartphone. You’ll mainly get an allowance of minutes and texts, along with a very small allowance of 4G mobile data. If you don’t want to top-up every week or every month, EE’s Pay As You Go service isn’t ideal. Whilst in theory, it’s possible to use the service without buying a weekly or monthly pack, you’ll pay fairly high rates of 30p/minute and 12p/text. Furthermore, it isn’t possible to access the internet without buying a pack so it won’t be possible to use many of the features of your smartphone. If you’d like a more flexible alternative, we’d recommend considering ASDA Mobile instead. ASDA Mobile offers 4G coverage from EE with the ability to use a traditional Pay As You Go service. The rates on ASDA Mobile are 8p/minute, 4p/text and 5p/MB: a fraction of what EE charges on their own Pay As You Go service. 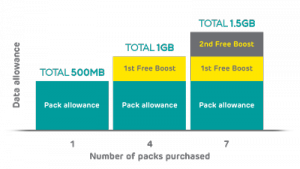 For users wanting an all-round bundle with inclusive minutes, texts and data, EE’s Everything Pack bundles normally offer the best value usage. The Everything Pack bundles start from £5/month, increasing up to £30/month depending on how much data you require. 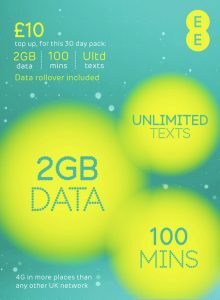 EE’s most popular Everything Pack costs £10/month and comes with 250 minutes, unlimited texts and 1GB of data. Unused allowances will expire after 30 days along with your pack. The exception to this is your unused data allowance which can roll over a maximum of once if you renew your bundle within 7 days of the previous one expiring. For customers wanting a larger data allowance in place of minutes, EE also offers a choice of two Data Pack bundles. For £10/month, you can get a Data Pack bundle with 100 minutes, unlimited texts and 2GB of data. This increases to 500 minutes and 5GB of data on the £15 Data Pack. As previously, your unused allowances will expire along with the bundle, except from data which can roll over into the following month (to qualify, you’ll need to renew your Data Pack within 7 days of the last one expiring). For users who don’t have a smartphone, Talk Packs can offer a decent allowance of minutes and texts. For instance, the £10 Talk Pack comes with 5000 minutes and unlimited texts. You’ll also get a token allowance of 50MB of data (0.05GB). This isn’t really suitable for usage on a smartphone, unless you’ll restrict yourself to only using the internet over wi-fi. 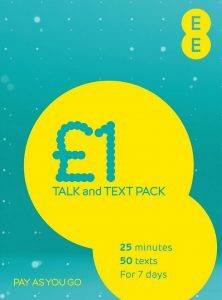 For light users, EE also has a £1 per week Talk pack giving you 25 minutes, 50 text messages and 10MB of data (0.01GB). Typically, your bundle allowances will automatically expire if they remain unused at the end of the 7-day or 30-day bundle period. The only exception to this is your mobile data allowance if you qualify for a data rollover. Data rollover is available to customers who have either an Everything Pack or a Data Pack. You must renew your 30-day pack within seven days of the previous one expiring. You can only roll over your data once and this only includes data from your core allowance (excluding any Free Boost allowances). This is explained in more detailed in our guide to data rollover and on the EE website. Free boosts build up over time (e.g. you could have 1GB of extra data after 6 months). £5 Everything Pack: An extra 100MB of data, 25 minutes or 50 texts per month. 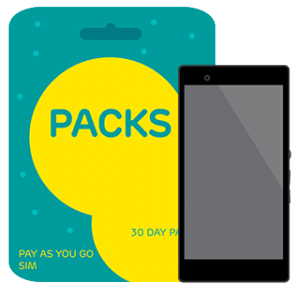 Other 30-day packs (£8 or more): An extra 500MB of data, 50 minutes or 250 texts per month. The Free Boost loyalty bonus will be added to all of your subsequently purchased packs. Furthermore, you’ll get an additional Free Boost for every 3 months you stay on EE. This means your Free Boost airtime can continue building up (e.g. after 6 months, you might have 1GB of additional data per month). Mobile Internet Not available: a data add-on or pack is required. Outgoing phone calls have a minimum charge equivalent to 1 minute, so you’ll pay a minimum of 35p per call. Thereafter, you’ll be charged for calls on a per-minute basis where the length of all phone calls will be rounded up to a full minute. 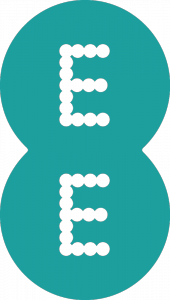 To give an example, an outgoing phone call lasting for 61 seconds will be charged by EE as a 2-minute call (2 x 35p = 70p). With charges of 35p/minute and 15p/text, EE is one of the UK’s most expensive mobile networks for Pay As You Go usage. Rival networks like ASDA Mobile, which also offers coverage from EE, charge just 8p/minute and 4p/text. This is less than one-third of the rates charged on EE Pay As You Go. ASDA Mobile gives you coverage from EE at a much lower price. For a better value alternative to EE Pay As You Go, we’d recommend ordering a free SIM card from ASDA Mobile. 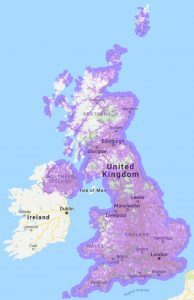 ASDA offers a lower-cost mobile service with the exact same coverage you’d get on EE (including high-speed 4G data). On ASDA, you’ll typically get much larger allowances for the same monthly price. For example, EE offers 250 minutes, unlimited texts and 1GB of data on their £10 Everything Pack. Meanwhile, ASDA Mobile currently offers 600 minutes, unlimited texts and 6GB of data (with a double data offer until the 23rd May 2019). Alternatively, you could save money by buying a lower cost bundle. Until the 23rd May 2019, ASDA is offering 300 minutes, unlimited texts and 2GB of data for £7/month. This is £3 cheaper than EE’s £10 Everything Pack, and comes with 50 extra minutes along with twice as much data. Because ASDA Mobile piggybacks on the EE network, you’ll continue receiving 99% population coverage from EE. You’ll also still be able to access EE’s high-speed 4G network. For light users, ASDA Mobile is also a better value option if you want to pay as you go without the commitment of buying a bundle every month. ASDA charges just 8p/minute, 4p/text and 5p/MB (whereas EE charges 35p/minute and 15p/text). For more information, please see our full review of ASDA Mobile. You can also read more on the ASDA Mobile website. Alternatively, you can buy a bundle through the My EE app or website. There is also an automated service for buying your bundle available when you call 150 from your EE handset. You’ll need to make sure you have a sufficient amount of credit before buying a pack. If you aren’t sure how much credit is remaining on your account, you can check by texting BA to 150. If you currently have an active pack on your account, you can text AL to 150 to check your remaining allowances. Alternatively, you can also check this through the My EE app or website. Upon the expiry of your pack, EE will try to automatically renew the same type of pack. For instance, if you had previously bought a £10 Everything Pack, EE would try to automatically purchase another £10 Everything Pack for you at the end of the 30 day period. If you don’t want this to happen automatically, you should text STOP PACK to 150. 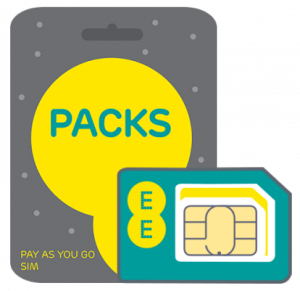 If you aren’t currently an EE Pay As You Go customer, you can order a SIM card and choose a pack via this link. In the following section, we compare EE’s Pay As You Go bundles to rival offerings from other networks. EE’s cheapest Pay As You Go bundle is their £5 Everything Pack with 50 minutes, 250 texts and 150MB of data. For the same monthly price, ASDA Mobile (which also offers 4G coverage from EE) provides 125 minutes, 2000 texts and 500MB of data (250MB outside of the double data offer). For an additional £2/month, this is boosted up to 300 minutes, unlimited texts and 2GB of data. At the £10/month price point, EE has a £10 Everything Pack with 250 minutes, unlimited texts and 1GB of data. Alternatively, the £10 Data Pack has 100 minutes and 2GB of data. For the same monthly price, ASDA Mobile will give you much better value. You’ll still be getting 4G coverage from EE but you’ll get a much larger allowance for the same price. For £10/month, you’ll get 600 minutes, unlimited texts and 6GB of data (3GB outside of the double data offer). Compared to the bundles from EE, this is at least three times as much data and more than twice the number of minutes. ASDA’s £10 bundle comes with 600 minutes, unlimited texts and 3GB of data (coverage from EE). On their £15 Everything Pack, EE currently offers 1000 minutes, unlimited texts and 2GB of data. Alternatively, the £15 Data Pack has 500 minutes and 5GB of data. For the same monthly price, you’ll get 1000 minutes, unlimited texts and 12GB of data on ASDA Mobile’s £15 bundle (6GB outside of the double data offer). The £20 Everything Pack comes with 1500 minutes, unlimited texts and 4GB of data. A better value alternative is giffgaff’s £20 goodybag. This comes with unlimited minutes, unlimited texts and 20GB of data (with 4G coverage from O2). For more information, please see our full comparison of the UK’s best value Pay As You Go bundles. There are two ways of joining EE Pay As You Go. If you’d like a brand new smartphone, you can buy one from the EE website. A Pay As You Go handset is available from as little as 79p, when you top-up your new Pay As You Go account. You can also buy an EE Pay As You Go handset from a third-party retailers like Argos and Amazon. If you already have an unlocked smartphone that you’re happy to keep, simply order a free Pay As You Go SIM card from EE. If your handset is currently locked to a different network, you may find it helpful to read our guides on unlocking an iPhone and unlocking a Samsung Galaxy smartphone. At the time of writing, EE offers 99% population coverage on their 2G, 3G and 4G network. This equates to approximately 90% geographical coverage, with the ambition to increase this to 95% by 2020. It isn’t actually necessary to have a 4G-ready handset to join EE as the service is also compatible with 2G and 3G handsets. However, we’d strongly recommend using a 4G handset if possible to get the most from the service. Other mobile networks, including ASDA Mobile, may offer the exact same coverage as EE but with lower Pay as You Go prices. Tethering or personal hotspot refers to the process of sharing your smartphone’s internet connection with other devices (e.g. with your laptop or tablet). On EE Pay As You Go, you can tether without any restrictions to share a mobile broadband internet connection with other devices. For frequent users of tethering and personal hotspot functionality, both ASDA Mobile and giffgaff are also worth considering. As they both offer larger data allowances than what is available on EE, they’re generally more suitable for use with this feature. If you’re switching from another mobile network to EE’s Pay As You Go service, it’s a straightforward process to keep your current phone number. 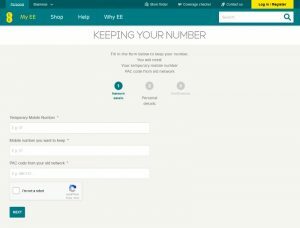 By moving your phone number to EE, you can save yourself the hassle of having to telling everyone a brand new phone number. Start by ordering your free SIM card on the EE website. You’ll need to have an EE SIM card before the transfer can take place. After ordering the SIM card, you should then contact your old network to ask them for a PAC Code. The PAC Code will authorise the transfer of your phone number to EE. When you receive the new SIM card from EE, you should head over to this online form. In the form, you can submit your PAC Code to EE to have your number switched over. Your phone number transfer will then normally be scheduled for the next working day. For more information about EE Pay As You Go, please see the official EE website. We'd love to hear your thoughts and any questions you may have. So far, we've received 78 comments from readers. You can add your own comment here. Which packs will work in US? Many thanks for your comment. Unfortunately, the allowances on EE’s Pay As You Go Packs only work inside the UK & EU. If you’re looking for an alternative deal that includes usage in the US, I recommend having a read of my article on using your smartphone in the US. I have a tablet and buy a £25 bundle each month. However, I don’t use the 2000 minutes ever. I would like to use these minutes on my galaxy. Both tablet and galaxy were bought at the same time in an EE shop. Is this possible to transfer the minutes and if so, how? As far as I know, it isn’t possible to transfer the minutes allowance between two EE SIM cards (however, in some cases you can transfer data between two SIM cards if they’re both linked to the same Pay Monthly account). It could be worth giving EE a call to discuss your requirements, and to see whether they can offer a solution to this? Thank you, Ken for your response and yes, it has helped. Any unused allowances remaining in your pack will expire and will not roll over at the end of the 30 day period. However, if you have any Pay As You Go credit outside of the pack, this won’t be lost when the bundle expires and will still be available for you to use. The £1 per week Talk and Text pack could work out cheaper than the £5 per month Everything pack. 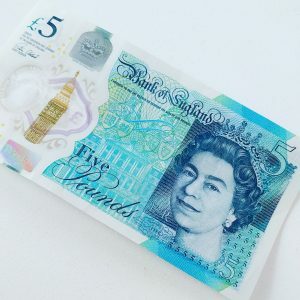 This is because you can get more weekly allowance from the free boosts on Talk and Text compared to the equivalent weekly allowance from the £5 per month Everything pack. Hey Ken – thanks for the nice article with clear conclusions. I didn’t see anything about international use with EE payg sims. If I buy the £15 data pack will I be able to use my data allowance in Spain? Thanks for your comment. Unfortunately, EE’s £15 Data Pack will not currently allow you to use your data allowance in Spain. Rather, you’ll need to pay their EU roaming rates. The good news, however, is things will change from the 15th June 2017. After this date, all UK mobile networks will be legally obliged to offer roaming in Europe at no extra charge. At that point, you should be able to use the Data Pack with no problems in Europe. Hi. I was in England for two weeks and bought a SIM AND pay as you go, talk, text, data for £15. Now I am home and want to stop everything. Not just stopping a pack, but stopping whole service. How do I stop it from auto renewing after 30 days? I will be continuing with my usual carrier in Canada. Also Can I lend the SIM to a friend who is going to England in a few months and use it again? Regarding the £15 pack on your EE SIM card, there’s no need to cancel the service on this. After the 30 day pack expires, the SIM card will simply have no money on it (it won’t cost anything to keep the SIM card connected). The SIM card can be reactivated at any time by topping it up with more money (so absolutely fine to lend this to a friend and it will work straight away once they add some money to it). The only thing worth being aware of is that your SIM card may be disconnected after 6 months of inactivity. Can you please help me I can’t receive text from I phones why???? Have you previously used your phone number on an iPhone? If so, it might be worth reading this information regarding iMessage & FaceTime settings. Unfortunately the BlackBerry booster won’t work on the iPhone. 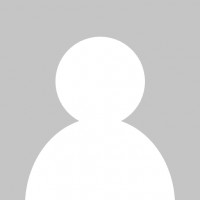 The BlackBerry booster is actually designed for older BlackBerry devices (running BlackBerry OS 7 or earlier) that connect to the internet through the BlackBerry Internet Service (BIS). Simple question but I’m struggling to find the answer. I picked up a £1 Talk&Text SIM the other day and have registered and topped it up. I have changed the second week to the £1 Data Pack. My question, come the third week will EE renew with another Data Pack or will it always revert back to the Talk&Text (as per the original SIM)? It will automatically renew the last pack you purchased (so EE will renew your Data Pack automatically)! I seem to have got a ee voucher instead of an orange one, I was told that it covers orange also but it has a 16 digit code not 12 digit so have not been unable to use it, any advice most welcome thanks. EE top up vouchers can be used with an Orange plan. Just call 450 and follow the prompts and you’ll have the option of entering a 12 or 16 digit voucher code. Many thanks for the info Ken most helpful. I have a phone on orange new dolphin £10 buys 1gb for 30 days and txts and calls, if I don’t top up after the 30 days I still have the £10. Is the ee tp10 simular or am I cut of if I don’t auto top up. Thanks for your comment. Unfortunately, there’s a key difference between the EE Pay As You Go Packs and the Dolphin tariff from Orange. With EE’s Pay As You Go packs, your £10 of credit is used up to buy the one-month bundle. With Dolphin, you’ll keep your £10 of credit in addition to the free allowances you receive for 30 days (the 1GB of free data and the 400 free text messages). So if you’re a fairly light user, you’ll be better off staying on Dolphin. For regular users, the Packs from EE could still prove better value (as you’ll get a lot more minutes for your £10 of credit than you would on Orange). After what period of inactivity will my EE pay-as-you-go service be considered terminated? Thanks for your comment. You’ll need to use your EE Pay As You Go service at least once every 180 days to keep it active. Looks like EE must read this site! They have vastly improved their description of boosts. It looks like you can accumulate as many boosts on top of each other as you want. Well done EE for updating their website. With my text and web bundle with Vodafone PAYG, I get my allowance ON TOP of my credit, so as long as I don’t exceed my allowance of Texts and browsing, my balance is still the same at the end of the month as it was at the beginning. This means I can then carry on using my £10 top up for normal usage in the next month. With this system, my phone usually goes two months before I need a top up, sometimes longer, making the cost a very reasonable £5ish a month. My question is, do all providers work this way, for example if I switched to an EE PAYG bundle, would the allowance be on top of the credit, or not? 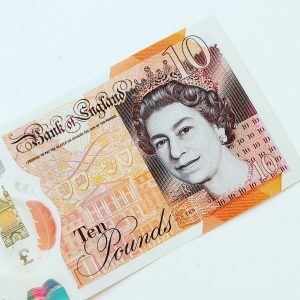 Some Vodafone bundles, usually those including free minutes, do not give the allowance on top of your credit, so if all the minutes, texts and web are not used up, the £10 is lost. Thanks for your comment. Unfortunately, the deal from EE works in a very different way to your current deal on Vodafone. With your Text & Web Freebie, you keep the £10 of credit (the texts and data are essentially a free gift as a thank you for topping up). With a Pay As You Go bundle like the Packs from EE, you’re actually spending your credit to buy the allowances (you exchange the £10 of credit for a certain number of minutes/texts/data/etc). The ‘Big Value Bundles’ promoted by Vodafone also work in this exact same way. Unfortunately, I’m not aware of many other networks that give you a free allowance every time you top-up (Tesco Mobile’s Triple Your Credit offer is kind of similar, as is Three’s free top-up allowance of 150MB). Yep – you’ll pick up another free boost for every 12 weekly packs you buy from EE. For more information, see this article on the EE help page. Would I be right in thinking that by week 48 you could either qualify for an extra 4 x 25 = 100 texts, or 4 x 10 = 40 extra mins; or a bit of both: 50 extra texts and 20 extra mins per week on top of the normal 25 mins and 50 texts?That’s after buying a 7 day pack continuously over 48 weeks. So would there be a limit to how many boosts a user could qualify for if they stayed on the £1 per week talk and text pack for a long time? Yes – I believe so! I’m not sure if there is any limit on how many boosts you can acquire – certainly, I’m not aware of any limits at present. I have a spare phone to keep in the car and have just topped it up with £15 credit. However £10 was taken for a 30 day pack which I don’t want. I have managed to stop it from renewing in 30 days time, but is there any way of getting my credit back for this month? Thanks for your comment. Typically, it’s not possible to cancel a pack once it’s already been purchased and once the money has been taken from your credit. Saying that, I recommend giving EE Customer Services a quick call on 150. If you explain the situation, they may offer to refund the credit to your account. Our daughter gave us her old iphone as out little Nokia will not hold its charge.We rarely use our phone so we wanted pay as you go but not the daily or monthly one.We got a SIM card from EE to transfer from orange.It is however a SIM card for an everything tarrif. How do we change this.Does the sim oblige us to carry on. Thanks for your comment. You can change the pack on your SIM card with a short text message to 150 (more information here on what you need to send). If you want to cancel the pack entirely, text STOP PACK to 150. This will put you on basic Pay As You Go without any bundles. Here, you’ll pay 30p/minute and 12p/text. I use the 3 network on contract my friend uses ee payg, if i switch to ee would we get free texts from each other, basicly looking for a cheaper way of texting between us. Unfortunately, EE doesn’t offer any free deals for texting on their network. You can however use the texting allowance on your EE bundle (e.g. the Everything Packs has unlimited texting so you can text any UK number at no extra charge using the allowance). On Three, you can also use the inclusive texts from your contract. I have been on the Dolphin tariff for what seems like for ever, I usually top up at a supermarket check out. However I did it this time on line. No problem with the top up BUT I noticed there was a link to change to “new dolphin”. I have no idea if it is different/better/worse as I could find no information on their site. On your anniversary day (when the previous pack expires), EE will try to take the cost of another bundle from your Pay As You Go credit. For this reason, it doesn’t matter if you top up early: you’ll still get the pack as normal. Unfortunately, it’s not possible to renew your pack early (you’ll need to wait until the previous pack expires). Brilliant site for the non tech. I am thinking of buying a non sim Doro PhoneEasy 607. I want to use it payg solely for a very small number of calls and texts each month. Can anyone recommend a provider who will cover this? I don’t want a “bundle” which runs out after 30 days, although I was tempted by the EE £1 per week for calls and texts only. But EE don’t accommodate 2g phones. What should I do?! Thanks for your feedback and glad you’re finding the website useful! In regards to your last question, EE does support 2G handsets – you can happily use an EE SIM card in a 2G-only phone like the Doro PhoneEasy 607. It’s actually Three that doesn’t support 2G-only handsets: see my article here for more information. With regards to the best value deals, it really depends on how you use your handset. The £1/week deal from EE is pretty good, alternatively you could also consider a more classic tariff where you pay for airtime on a per-minute and per-text basis. I will be visiting UK soon and I am looking at getting the EE everthing PAYG bundle pack. Is it possible to purchase it from the local store instead of getting it online or have it posted to a UK address? I can’t find any information on this. Thanks for your help! Indeed you can! You can buy a SIM card from EE at any of their retail stores (there are 550 stores dotted across the country). Enter the postcode for your hotel to find the nearest store. 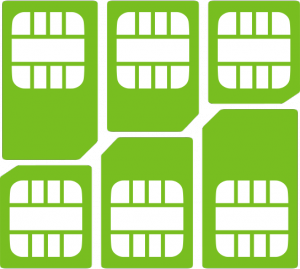 Often, you can also find the SIM cards available in a supermarket (typically located somewhere close to the till). If you’re buying from a store, you might need to follow the instructions here to buy an Everything Pack. I was comments on EE Facebook page and it seems like there are tons of complains with regards to their service. Now I am starting to doubt their reliability. Read from else where that Three seems to be one of the most reliable few. Thanks for the feedback! I personally use both Three and EE – not had any major problems with either of the two networks. I think it really depends on where your live – in general, EE probably does have a much better network but there are certain locations where Three will work a lot better. 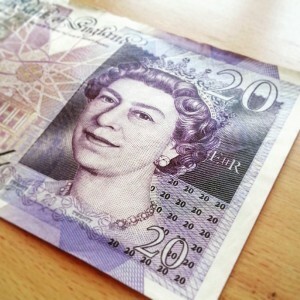 My family are planning to go to UK and France from Jun 20 to Jul4. Do you have a plan that covers both countries? We probably would use more data than phone or text since we like wechat and Skype. Please recommend a plan with rate info. Will there be enough time for you to ship to the US? The best deal for the UK & France will probably be Three’s Feel At Home SIM card. For £10, you get 500MB of data along with 100 minutes and 3000 texts. For £15, you get 25GB of internet with 300 minutes and 3000 texts. The best thing to do would probably be to buy the SIM card on arrival in the UK. I have a T-Mobile PAYG SIM and have been buying monthly 500MB internet boosters. I was able to play Youtube videos on my 2G Nokia 206 phone. This month, after reading your reviews of EE PAYG packs, I tried an EE PAYG SIM and bought a £1 1 week data pack. This works OK on internet, but will not play Youtube videos. It attempts to load video, buffers to 60%, stops and then says “no response, try again”. The settings configuration file for T-Mobile has web, streaming and access points listed as received. The EE file lists only web and access point. I wonder, therefore, if streaming is allowed. I have discussed this with EE on Twitter, and they are unable to suggest a reason. Any ideas, Ken? I dread speaking to customer services after previous experiences! Thanks for your comment. I’m not totally sure why this is happening… in theory, EE Pay As You Go should give you the same coverage as T-Mobile Pay As You Go but with the addition of 4G. Streaming is definitely allowed on EE Pay As You Go so this also shouldn’t be a problem with the tariff. It might be worth checking with EE directly to see why this is possibly the case. One more thing: I couldn’t quite understand how you could watch YouTube videos on a 2G-only handset? I believe 2G connections are normally too slow to be able to support the streaming of YouTube? Regarding the playing of Youtube videos on 2G. (Definitely 2G, as the Nokia 206 is 2G only). It works acceptably well on an EDGE connection using Opera mini browser, which condenses the data before sending it to the phone; image quality is set to LOW and there is occasional buffering. On a GPRS connection, you get the message “insufficient bandwidth”. I intend to replace my phone with a 4G model shortly. I’ll try again with that, before approaching EE customer services. 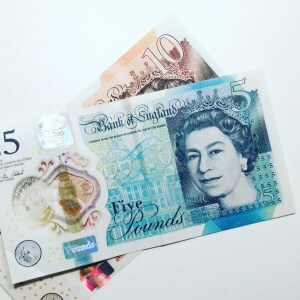 I have been paying £1’s and £1’s for weeks and weeks and do not receive any boosts for my phone, please look into this its becoming very frustrating, and I need some help immediately. thank you. Thanks for your comment. I recommend you contact EE Customer Services on 150: they’re the ones that’ll be able to help you. Unfortunately, I don’t have access to your EE account details (I’m a third-party blogger!) so I wouldn’t be able to check this for you. Thanks for explaining in detail all the various packs & procedures. Very helpful. Ian currently PAYG with EE but have stopped topping up my usual £10 for unlimited texts as I want to use my credit up as I am switching to Giffgaff. I have paid EE for 6 month internet booster but I’m looking at a unlimited text booster to ease the speed at which my credit is falling (lost £30 credit from texting in just 18 days!). So I am looking at the EE TTP10 pack for now and shall swiftly add STOP PACK once initiated. What I would like to know is, is it possible to keep my current phone number with EE when I switch to Giffgaff ? Thanks for the comment and really glad you found the article helpful! Before proceeding, it’s worth double-checking whether you’re actually on a T-Mobile plan or an EE plan (I believe the 6 month internet booster for £20 is actually an offer from T-Mobile). If you do find out you’re on T-Mobile rather than EE, see the article here for information about your plan. On T-Mobile, you’ll need to buy one of the Smart Packs (the EE Talk & Text Pack won’t be available). Thanks for your swift reply and for guiding me with the relevant info, Ken. Your help is a blessing my friend, espcially to confused consumers like myself. Yes, I am on T-Mobile (& not EE as I stated previously). Must have got confused with all the EE messages I kept receiving. Doesn’t take much to confuse me. So glad I can keep my number when I switch to Giffgaff. Thanks again for sharing your knowledge with us all via this wonderful website. 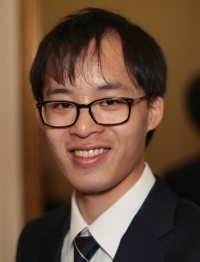 Hi, thanks for posting a great article. Can you recommend a PAYG sim that does not expire or auto renew like in the old days ? I want it for a spare phone for emergencies only. I’m happy to load it with some minimal credit and make an outgoing call or text every 3 – 6 months to keep it active. I was looking at the new EE £1 bundles but if you tell EE not to make further debits to your credit card with STOP PACK, I assume the sim will expire after its 7 or 30 days period or will it run and run ? Thanks for the kind feedback regarding the article! The EE Pay As You Go SIM card won’t expire automatically when you cancel the Pack. Indeed, it remains active providing you use the SIM card at least once every 180 days. When you text STOP PACK, the SIM card reverts to standard Pay As You Go (any money you top-up goes on to the credit, you’ll then be charged 30p/minute and 12p/text whenever you use the handset). For more information, see my guide to credit expiry and account termination. Whilst we’re here, it’s worth mentioning there are other mobile networks which charge a bit less (e.g. giffgaff is 10p/minute and 6p/text). You might find they work out better value. Hi ken. Any idea when EE 250mb data boost on pay as you go is applied? Do I have to use up my 500mb allowance first before I receive it? Been asking in various EE shops but their staff and those in india are clueless. Help me! Thanks for your comment. You should receive a text message from EE after buying the 30-day pack a total of 3 times. This will tell you how to opt in to receive the 250MB of additional monthly data. If you didn’t get the message, text BOOST to 150. Once opted in, you’ll get the free data for all future pack purchases (e.g. your 500MB allowance will increase to 750MB). Hi, just bought iPhone 4S from the Carphone Warehouse, they put me on EE Pay As You Go. They are taking £1 per week so I use £10 about every 3 months. I texted STOP PACK but they still took another £1. I phoned the free phone number… lady said she didn’t do Pay As You Go and put me through to another lady far far away I suppose! Said she had stopped the pack and gave me my £1 back. She wished me a happy Christmas and was gone… I listened to lots of Christmas music, and lost about £4 off my £9 credit. It’s driving me mental. I shall go and hassle the EE shop but I don’t hold out much hope. Yep – you can disable auto-renewal by texting STOP PACK to 150. Your current weekly pack will continue until its expiry – it simply won’t renew automatically at the end. You can read more on the EE website here (see the section at the bottom). I can’t find an awful lot of information about 0845 numbers and their ilk. I am on EE and use their £1 package. It lasts for 7 days and gives me 25 minutes of call time, 50 texts and 10 MB data. The phone is for my 9 year old daughter and I figure it will suffice. Who can’t afford £1 per week? I was stung recently however when dialling a 0845 number from the phone. Within a few minutes the call was disconnected and my credit was gone. It seems that 0845 numbers are not included in the £1 pack. I didn’t see that fact mentioned anywhere when I bought the phone and EE sim. I cannot see it mentioned anywhere in any comparison charts of network phone tarrifs. I cannot see it mentioned by you anywhere in this article. If a bolt on/pack says 25 minutes call time surely that should mean to any phone. If it doesn’t they should warn customers. Charging outside of bolt on packages is awful and must catch so many customers out. I would like to see a comparison between all the mobile networks to include their policy / charges relating to 01,02,03,08 numbers. Great spot – thank you! I’ve just updated the article with the correct code to text. First a thank you for a very useful site. I have become increasingly disillusioned with T-Mobile – they have become less and less competitive since I joined them. I have been with them since I bought my first smartphone – the T-Mobile (HTC) G1. When I bought it, it came with 3GB of data on a £10 tariff. I think this was a special for Android phones. I have since renewed my contract with them twice and each time it seems to have been worse value. May last “upgrade” process found me on a £17/month tariff and 750MB data allowance. I was told that once I reached the allowance I would no longer be able to download and stream but would still be able to browse and email – fine with me (though frustratingly worse value for money than before). For several months I remained within the allowance. Then a couple of months ago I exceeded the allowance and received a txt saying I could only brows and email – fine by me. But last month I exceeded my allowance and I could only continue to use data by adding a free 250MB booster. Not really a major issue – it’s free and it got me to the end of the month. But it’s not what I signed up for and it’s just the latest in a gradual erosion of the value I used to get from T-Mobile. Is this a typical story? I’ve now decided that my next phone will probably be a Nexus + a SIM only deal maybe with GiffGaff or 3. Thanks for the comment! 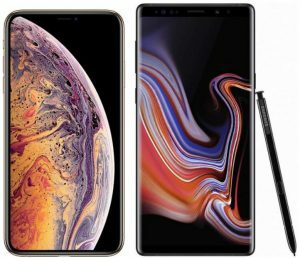 I think the main problem is your contract changing when you upgrade your phone – you’re signing a brand new contract so you come under the new terms and conditions after renewing (they tempt you away with shiny new devices!). I’ve had a T-Mobile account for almost four years now and managed to keep the 3GB of data. According to T-Mobile, I should still be using a HTC Desire but in reality the phone has changed several times since! I’ve upgraded my phone by buying SIM-free rather than by upgrading via the contract. Similarly, I know of a few friends who still have legacy “Unlimited” data plans from O2 – again they’ve done the same by buying a Pay As You Go or SIM free handset. As you say, giffgaff and Three now offer some pretty good deals so hopefully you can find something suitable! Thanks for the tips. I should have done as you did and left the data plan untouched. Ah well – lesson learned! And thanks again for a great resource. I just renewed my old contract with t-mobile (originally an HTC Desire that came with a 3GB data allowance), but they still reduced my allowance down to 750MB without ever informing me. When I queried my allowance, they would never give me a straight answer. I agree with Andy, before they became part of EE I found they offered reasonable value for money and I always received good customer service. I am still with t-mobile but on a sim only 1 month contract, but I feel that they now offer much less value for money and customer service is poor with long waits to talk to anyone. In my view, Three currently offer much better value with their free calls to 0800, ‘feel at home’ roaming etc. From what I have read, their CS seems a bit variable though.